Following Don Perry’s recent retirement, Katie Alvarez joined Tammy Hardisty and Josh Leigh as a Carmel High campus supervisor on Oct. 15, taking the 9:45 a.m. to 5:45 p.m. shift while pursuing a degree in criminology. As a campus supervisor, Alvarez’s primary duty is to keep order on campus, from checking bathrooms for vandalism to checking passes to ensuring students are where they’re meant to be. 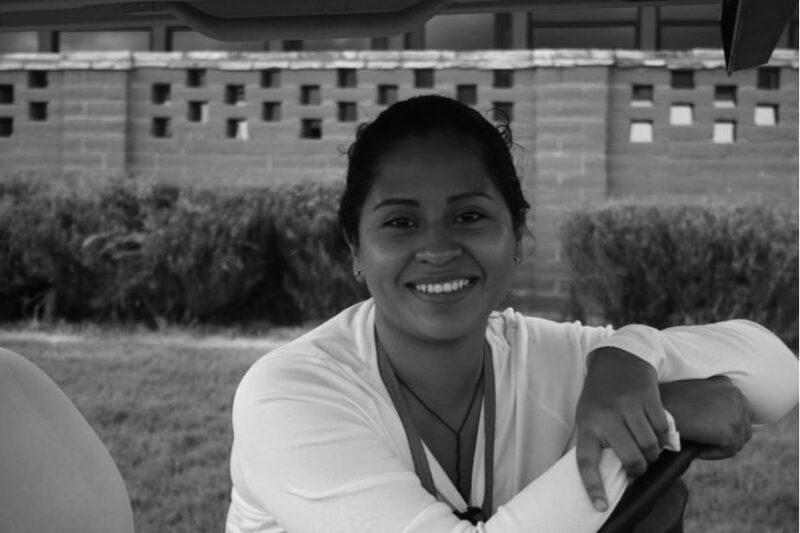 On an average day, Alvarez can be found on the golf cart patrolling campus when she’s not at study hall after school. Alvarez, who enjoys hiking, jogging, biking, cooking, and reading among her other hobbies, says she loves to spend time with her family and friends over the weekends. While the fitness-lover grew up in Virginia and her father’s side of her family still resides there, her moher’s side of the family has been in California since the early 1980s, which was the primary reason for her relocation. Alvarez expects to remain in California for a while: she’s currently pursuing a bachelor’s degree online in criminology. After a bachelor’s degree, Alvarez plans to go to school for a master’s. With these two degrees, she wants to work one-on-one with inmates in California prisons. To connect the experience she will get working at CHS to her future work at prisons, the criminology enthusiast plans on working at a juvenile detention center with kids from 12 to 18. Alvarez hopes that working at CHS will help her get an idea of how it is to work with people in this age range. After she was born and raised in Alexandria, Virginia, Alvarez began her work in education at Key Middle School in Springfield, Virginia, where she worked for two years. At the school, she was a teacher’s aide in special education for about 10 kids with various mental disabilities. Though there is quite a difference in her responsibilities as a campus supervisor from her previous work as a special education teacher’s assistant, Alvarez is acclimating well to the Carmel environment. At her previous school, there was no need for a campus supervisor, she explains. Instead, there was a cop. Alvarez looks forward to forming relationships with staff and students in her work and plans to take it slow as she and students adapt to her presence at CHS.